It was a little over a year ago, my last visit to Japan. 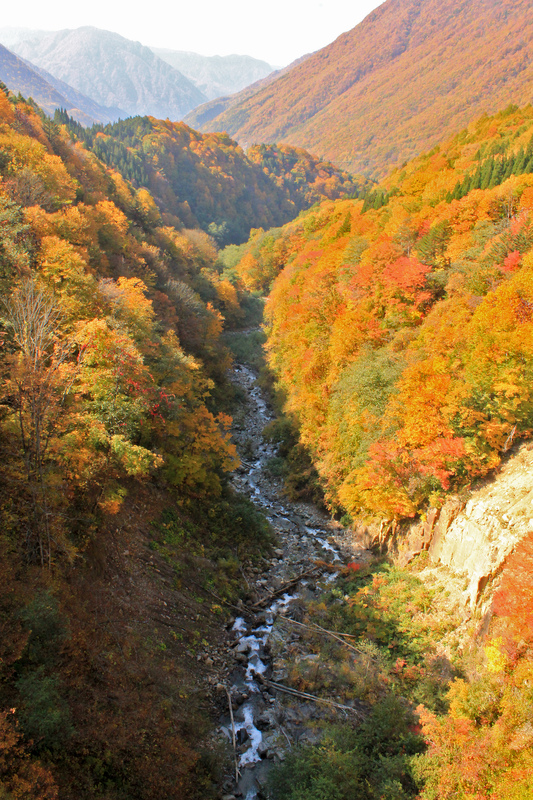 In the fall, with a spectrum of leaves. This was the visit in which to decision to move would manifest itself, starting from a cute notion, to a plausible idea, to an actual full-fledged plan. I had been conducting my usual shopping trips for souvenirs. These usually consist of hitting the local Santa themed thrift stores, the Daiso dollar store, and various other small stores for trinkets and small gifts. On one such occasion, a cute little Daruma figure caught my eye. He was nothing of significance really. 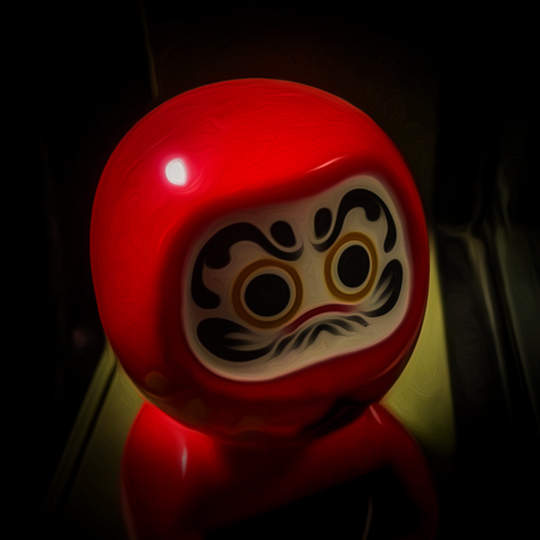 I had found and purchased much more interesting Daruma figures before. 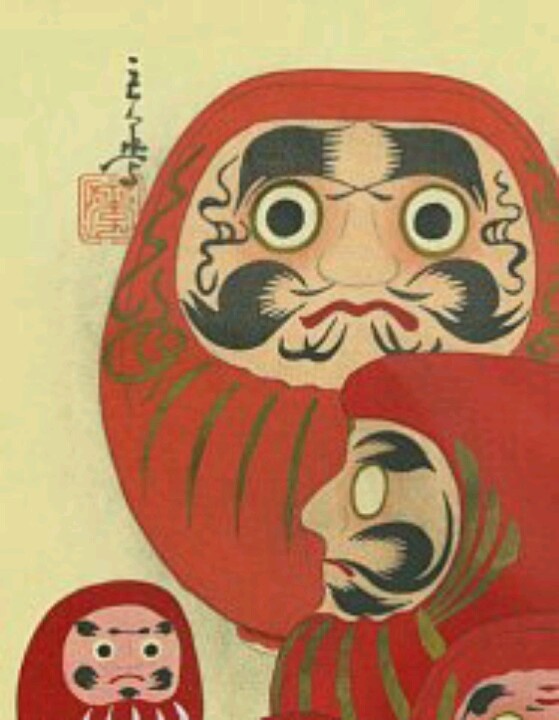 But this Daruma was a little solar-powered toy, the kind you might place in a window. There was probably 50 of them in the display, all rocking back-and-forth, side-to-side like cute, red little pendulums, powered by the light. If I was going to pony up the 150円 (about $1.35) for the little guy, I wanted to make sure he was working well and would work at home. I picked up several, examining each individually. A face with a little frown and furrowed eyebrows staring back at me – setting them down one after the other. They all seemed to function, so I’m not sure what I was really looking for. Maybe the one rocking the hardest? Or most accurately? Quite likely they were all identical, but I tend to be a very slow and meticulous shopper. I settled upon one, and he was purchased and quickly found his way into my suitcase and pile of other souvenir give-away’s. And there he sat for weeks. After some some months, he returned to my memory, and thought I’d bring him to work. I placed him in my window. I being thoughtful to place him in the path of a sunbeam, for maximum exposure. I checked on him through the day, but he would not budge. He only sat. Staring blankly. Possibly meditating. Thinking that maybe he just needed some time to charge, i left him alone – and after some days forgot about him. An occasional glance would confirm his stubbornness. I would move desks at some point, and he would be inherited by another co-worker. He became lined-up with a number of other colorful desk figures, including Star Wars, superhero’s, etc. Many months would pass without so much as a jiggle – nearly a year. But somehow, once again the little red orb would find his way back to my desk, as our office became reshuffled. It was somewhere around this time (a few months ago) that we began to sell off our possessions, and truly take action toward our move to Japan. And it was around this time I noticed something. I thought it was just my eyes at first. The vibration of the room or imagination, but i would catch an ever so slight movement. Not easy to verify at first. Not until I clearly noted a full rocking back-and-forth ever so subtly one afternoon. It also happened that on this day I would sell a majority of my music equipment. And the next day he was still, once again. A week or so later, I would catch him in the act again, rocking a bit – on the same day in which we would sell our furniture. Again, the next day, perfectly still. He has kept up this pace, with ever increasing frequency. I’ve begun to check him, almost like a clock now. Will we sell something today? Will we receive news? Will today be lucky? As the days tick-off, and our departure grows near – his rocking has become quite frequent! Likewise, our possessions are quickly heading out the door, and our commitments to leaving intensify. Our 30-day notice’s at work, and to our landlord have been submitted. Goodbyes and tears are being exchanged. At this rate, I expect him to be fully and completely rocking-out by the time we depart for Japan. Is there some significance to his awaking and his apparent excitement about our big move? I cannot tell you. But I’ve learned that sometimes it’s better not to question the universe, and to just move in the same direction that it takes you. So sweet of you to say. Thank you.